nurturance and love of the Earth. There is renewed awareness of feminine expressions that have been revered for millenia. 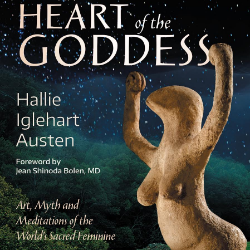 Hallie Iglehart Austen shares a wide-reaching selection of art, meditations, poetry, prayers, values, and living lessons of Goddess culture. Respect for the Earth, restoration of community, and regaining the long-lost power of women are inseparable. Immerse yourself in a rich, multi-media experience of Goddesses from around the world and throughout time, for a transmission of healing, teaching, and the Sacred Feminine in all of us. Hallie Iglehart Austen began studying ancient Greek language and mythology in her youth. 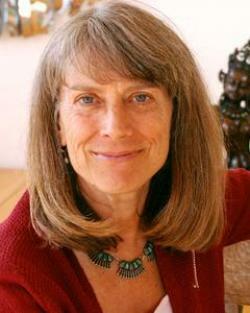 She has been teaching spirituality and the wisdom of the divine feminine since 1974, and is author of Womanspirit Meditations and The Heart of the Goddess.